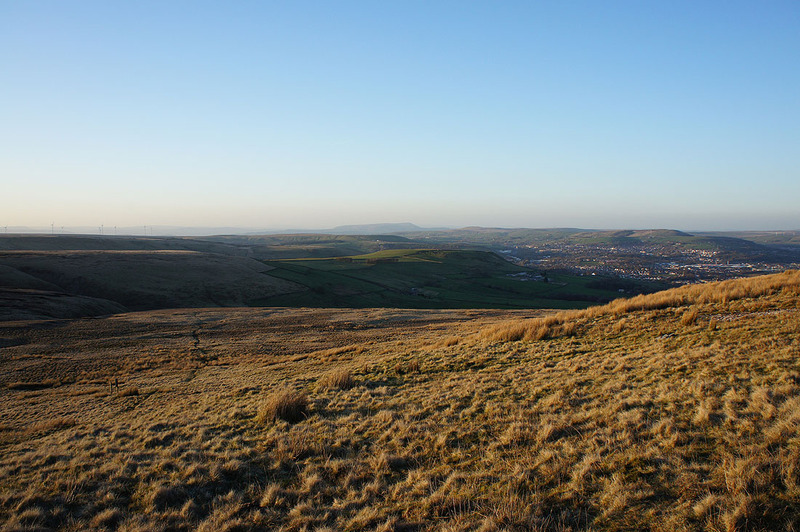 A lovely evening and I just had to get out after returning home from work. 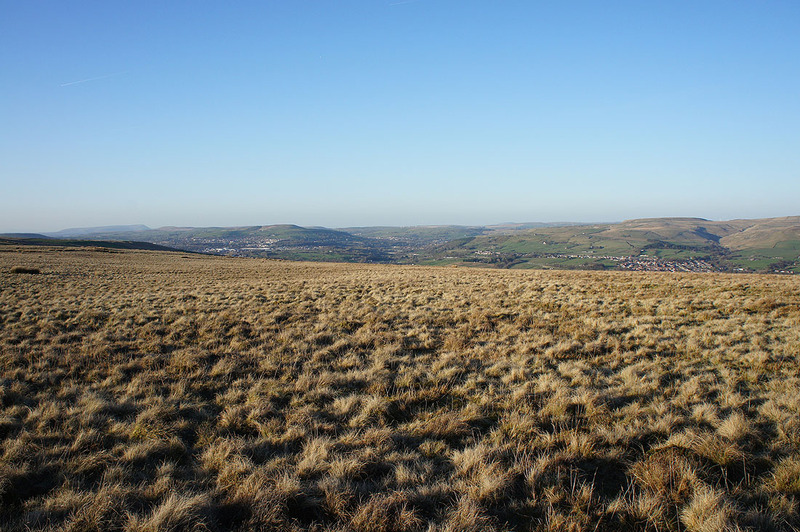 Great views with good visibility and just a gentle and cool breeze on the hills that I can see from the back windows of my home. 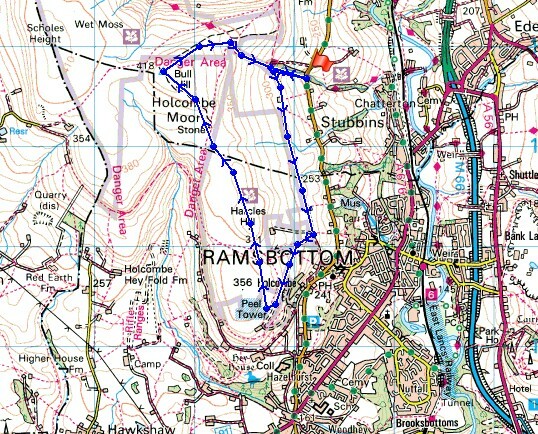 After parking in the lay-by I made my way up through Buckden Wood and onto the bridleway which I followed to Peel Tower. 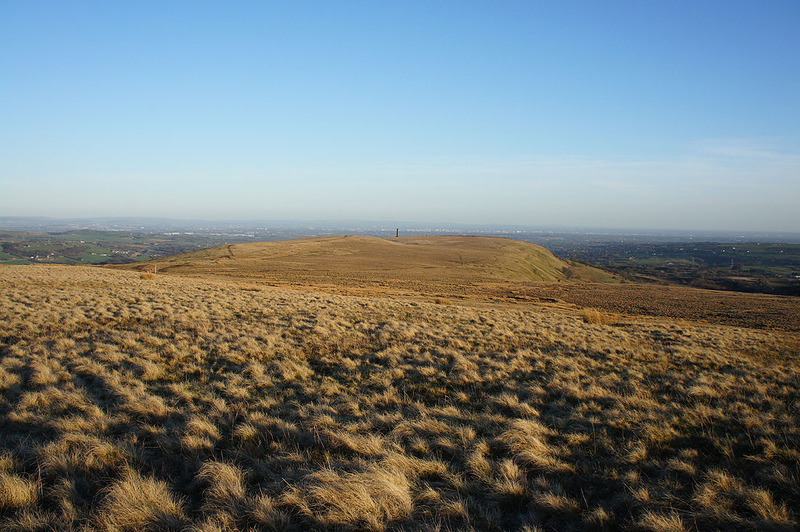 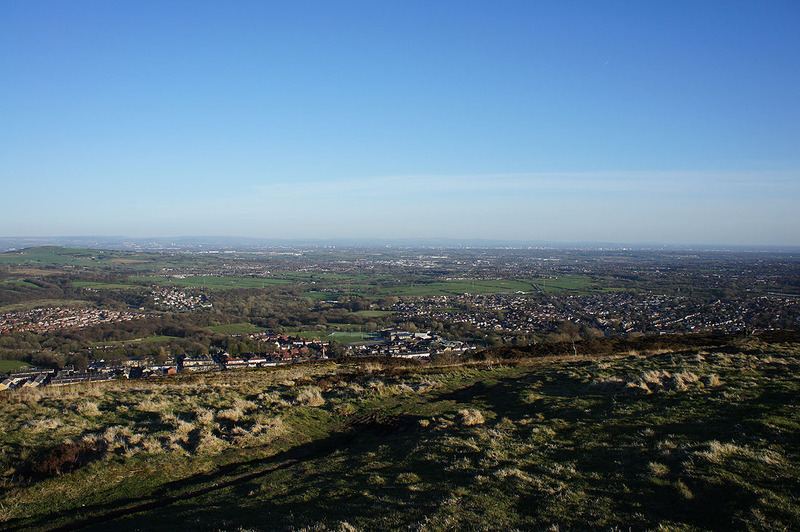 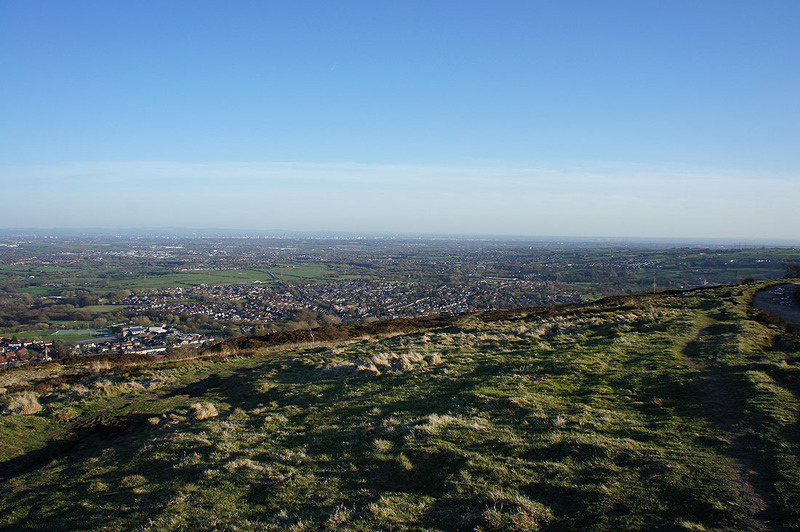 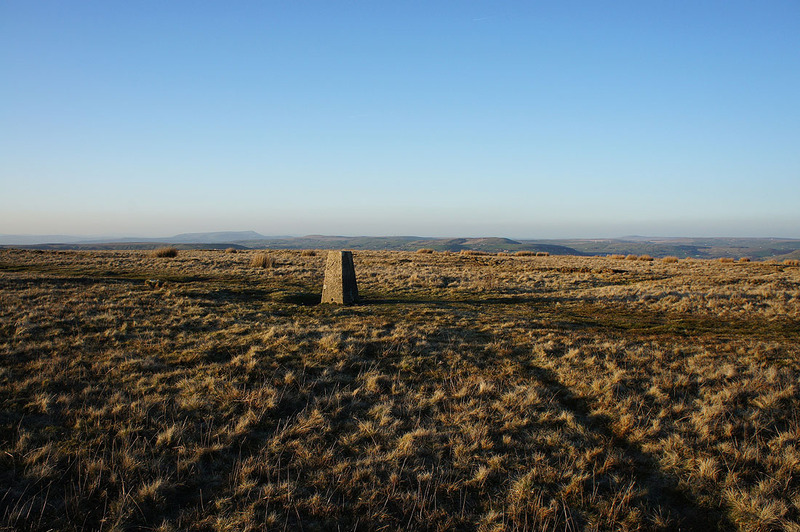 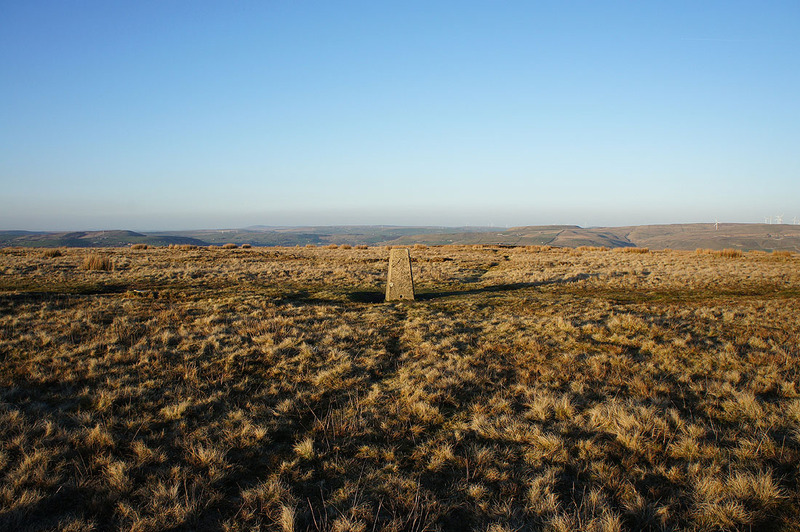 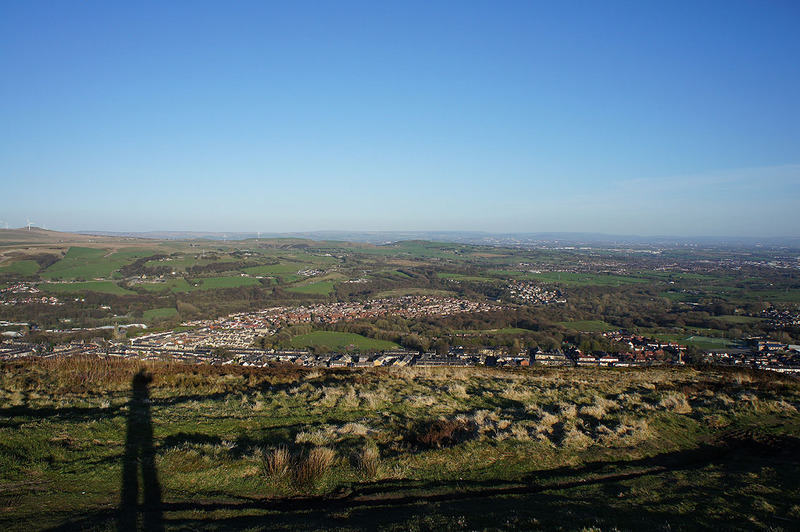 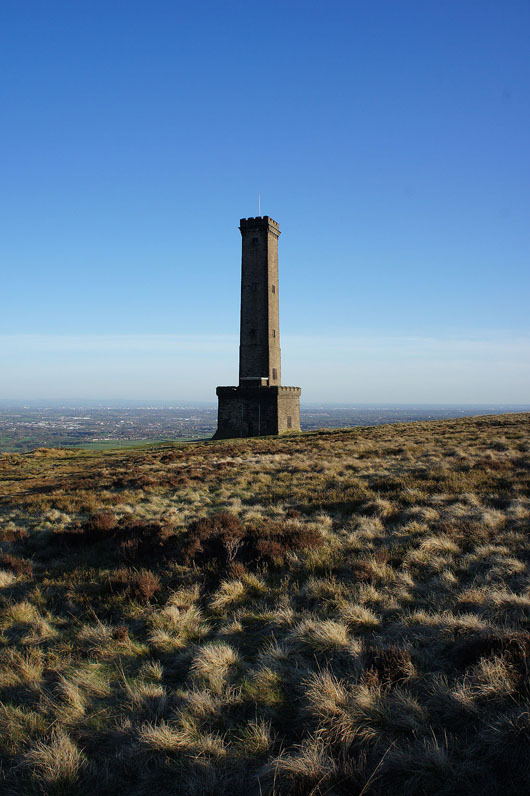 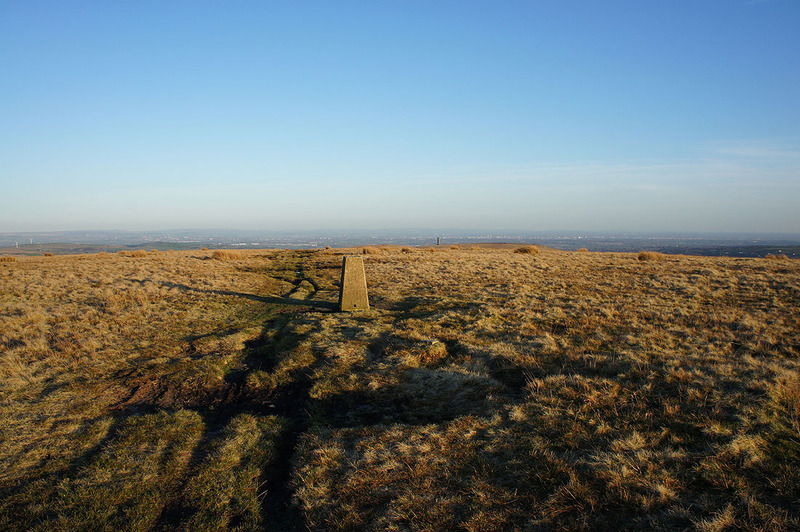 I then made my way across Harcles Hill and Holcombe Moor to the summit of Bull Hill. 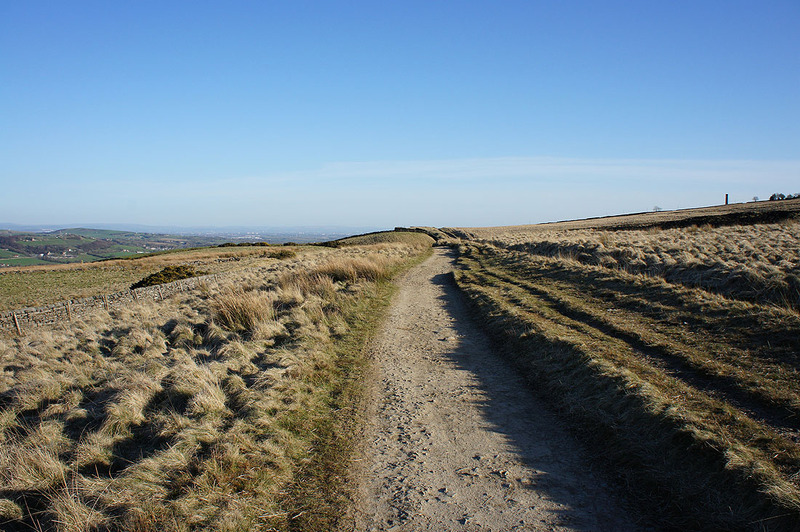 A quick descent was then done. 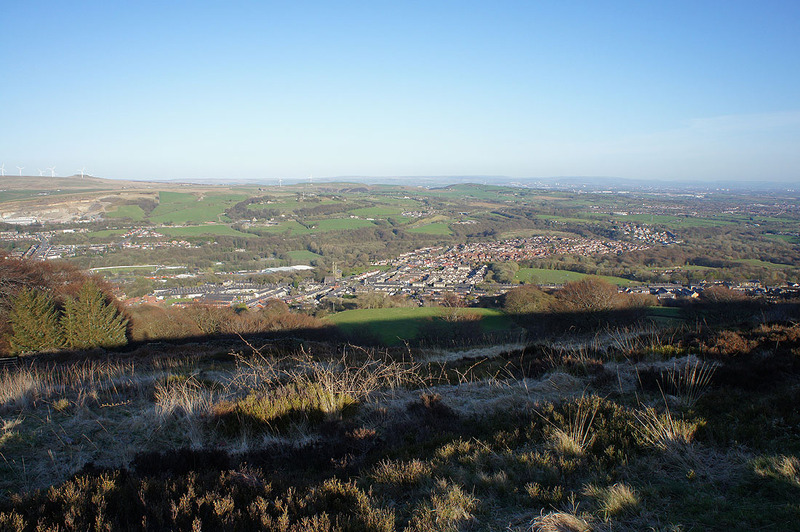 A view that I really look forward to taking in when I'm up here. 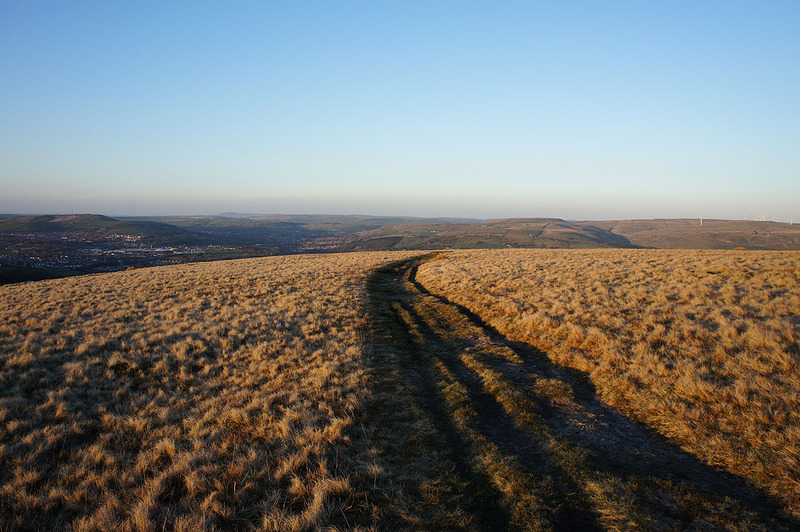 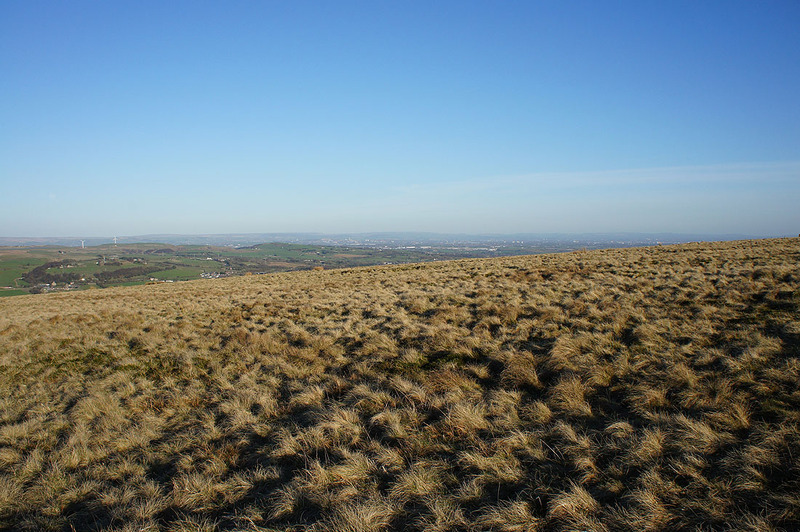 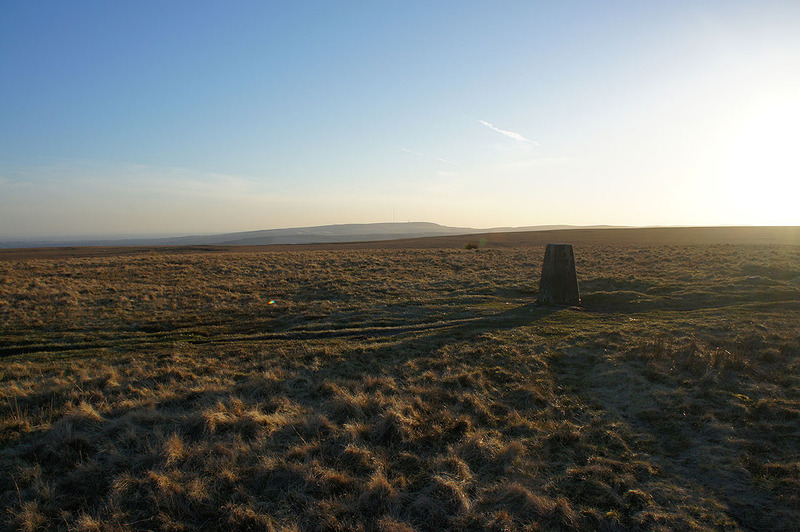 From the northern edge of the hill, looking across the tops of the West Pennine Moors to Pendle Hill. 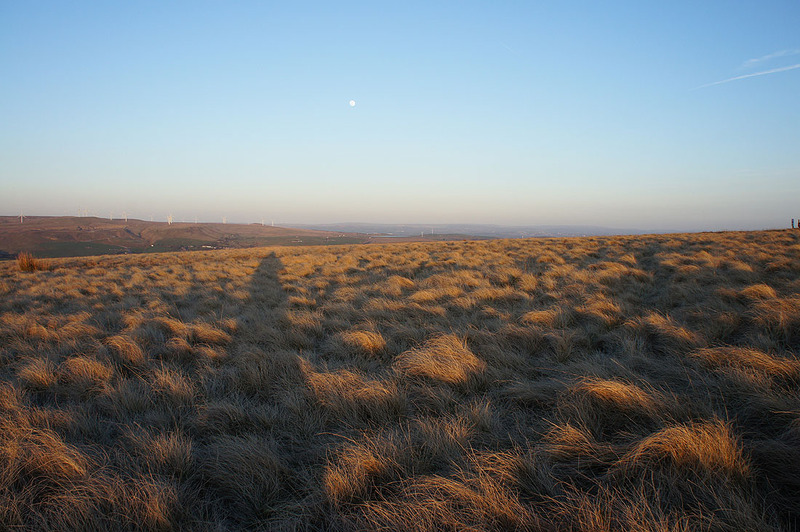 A lovely light develops as I head down and the sun starts to set..